1. A. Benjamite chief (I Chron. viii. 23). 2. The sixth son of Azel, also a Benjamite, of the family of Saul (ib. viii. 38). 3. Son of Maachah, one of David's mighty men (ib. xi. 43). 4. 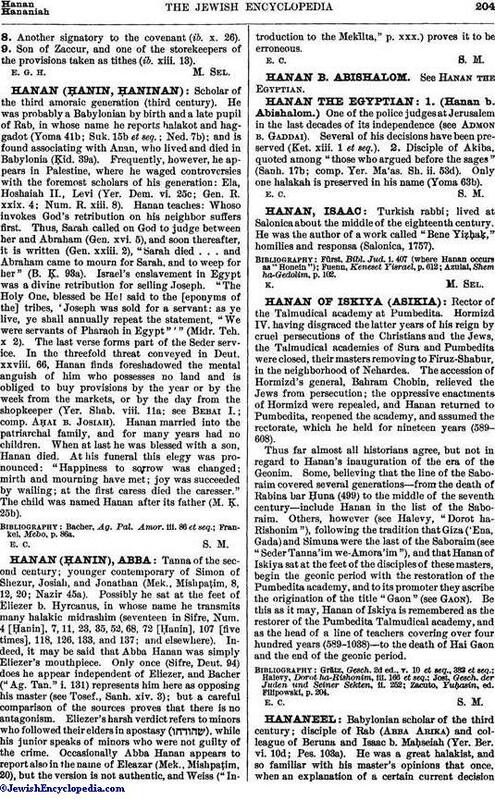 Progenitor of a family of the Nethinim, who returned from captivity with Zerubbabel (Ezra ii. 46; Neh. vii. 49). 5. Son of Igdaliahu, a man of God, whose sons had a chamber in the house of the Lord (Jer. xxxv. 4). 6. One of the Levites who assisted Ezra in the reading of the Law (Neh. viii. 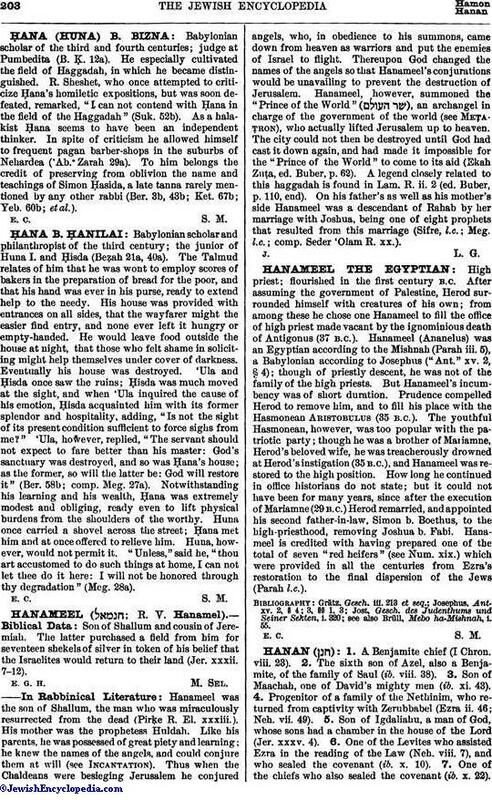 7), and who sealed the covenant (ib. x. 10). 7. One of the chiefs who also sealed the covenant (ib. x. 22).8. Another signatory to the covenant (ib. x. 26). 9. Son of Zaccur, and one of the storekeepers of the provisions taken as tithes (ib. xiii. 13).